The Careers Department has a specialist team of staff and many resources to help you to make decisions about your future. Resources are used in the weekly tutorial programme and special events are planned throughout the year to ensure you make informed choices about your future. You may also book careers appointments regarding advice and guidance, on a one-to-one basis, at any time. Students wishing to go to university (in the UK or abroad), or other Higher Education institution, are supported in this by a range of activities. Personal Tutors write references for students’ UCAS applications. A large amount of support is available throughout the application process (for example, every application form is reviewed by four members of staff before it is sent). Increasing numbers of students are choosing to undertake opportunities offered by Apprenticeships, including Higher Apprenticeships and Degree Apprenticeships. We have links with local businesses as a result of their attendance at our annual Careers events (see below). e.g: Birkett Long, BT and Larking Gowen. A number of our College students have started their own businesses after College and the Careers Team can provide guidance and support in this area. At the Careers Fair every year we welcome over 80 exhibitors. This event is aimed at first year Advanced Level and IB students as a means of encouraging you to begin thinking about their options after College. Second year students looking for employment opportunities or who have Higher Education queries are also encouraged to attend. A range of Higher Education representatives, employers and Year Out providers attend. The event takes place in the Multi-purpose hall where representatives are able to display marketing materials and answer students’ queries. The event is run alongside the student progress review process, therefore ensuring that you have free time to attend. We have an established careers team and can provide careers interviews for students who need impartial information, advice and guidance. Students sign up for interviews in the careers department, in room 113, with each interview lasting about 30 minutes. You may book as many interviews as is necessary during your time at College. You naturally have skills that will help you during employment but we feel you need to be made more aware of skills you have and how to develop skills to show examples for future employers. You can develop skills across a wide range of activities some of which might include: Paid work; Volunteering; Work for family/friends; Work experiences; Community projects; Hobbies; Clubs and societies; Sporting activities. Students will receive support and guidance in seeking opportunities that exist for them and developing openings for themselves. For example, Journalists can start by writing articles for the college magazine, writing a blog, offering to write articles for local/club newsletters or just getting involved with these groups. Increasing your employability skills is a vital part of education. Volunteering gives you the opportunity to develop and improve skills whilst contributing to the local community. In this context we have a range of links with organisations such as St Helena Hospice, Community 360 (formerly CCVS), Larchwood and NCS (National Citizen Service). The highlight of the careers programme is the Career Progression Event. This takes place when first year students return after their spring assessments. You have a choice of over 400 40-minute talks and workshops, from which you choose 12 to attend. 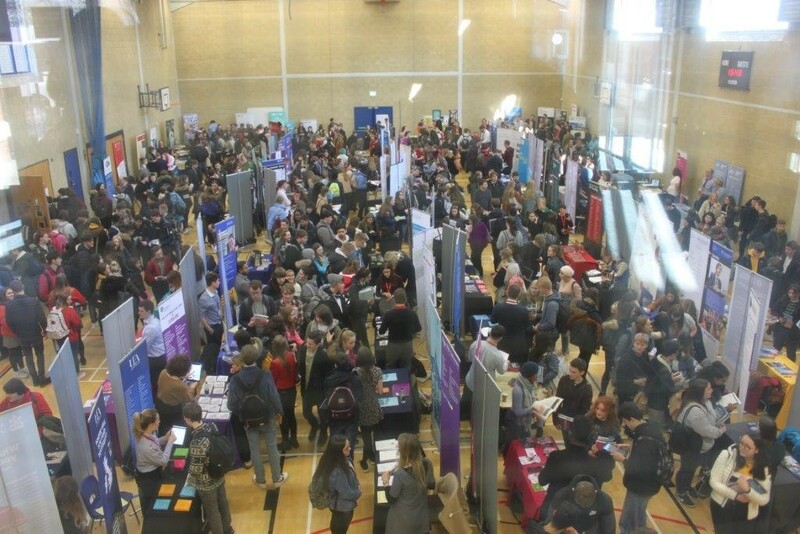 A number of the sessions are organised and delivered by College teaching staff, with other presentations being offered by employers, Higher Education representatives, Year Out providers and former students. The programme gives you a real insight into your options and choices for the future after College. Medics is a comprehensive programme of activities for students applying for medicine, dentistry, veterinary medicine, paramedicine and physiotherapy. It covers the application process for these competitive courses as well as the necessary skills for interview and for the UKCAT and BMAT examinations. You are assisted in preparing statement, which reflects your strengths and you are advised on the necessity of appropriate and extensive work and volunteer experience. Former students studying medicine and related courses at university often return to share their experiences. Qualified outside speakers are also involved and students visit the local hospital for a medical careers day. Many college staff give up their time to help with two sets of mock interviews reflecting different interview styles. Students are given feedback on their performance and advice on interview dress. Weekly meetings involve discussion of topical news items and ethical issues that face the modern health practitioner. Meetings begin in September of year 1 and continue throughout both years. The information we make available for students is also available on ‘MOODLE’. The Careers MOODLE page has lots of research opportunities and helpful information. This starts with tools such as KUDOS for students who have little idea of their plans, through to ‘how to’ guides for University applications. Job opportunities, apprenticeship vacancies, employer engagement, open days and university and higher education engagement are all communicated through these pages as well as in the daily Student Bulletin and on the display screens around College. In the Autumn Term the Principal begins with a series of individual appointments with those students who have outstanding GCSE results and advises them on potential Oxbridge applications. Open meetings are held in November and March for all students who feel they would like to apply. This includes a session with some of our ex-students currently studying at either Oxford or Cambridge. A trip to Cambridge is organised after Easter to Emmanuel College where students have the opportunity to talk to admissions tutors and current students. In the Summer Term anyone still interested in applying will have one-to-one meetings with one of the Oxbridge team to discuss next steps. This is followed by a session in the 3 day programme with detailed advice on preparing personal statements and each student will be advised to make appointments with appropriate subject staff to help them work on Personal Statements. Mock interviews are organised in November and December and where written tests are required subject departments advice and help students prepare. There is an Oxbridge page on Moodle and information is regularly posted about taster days, summer schools and other opportunities available at either university. The page also provides reading lists and other ideas for extension activities. The Pre-Teaching Additional Study is a means by which year 12 students who are considering a primary school teaching career can gain the necessary ‘recent’ classroom experience required by universities in order for students to apply for 3-year Primary Teaching degrees with Qualified Teacher Status (QTS). In addition, a series of talks is made available to all students, delivered by a range of educational professionals throughout the year. At the end of year 12, an information pack regarding the Primary Teaching degree application process is provided for all Pre-Teaching students, plus further support as required. From these experiences, some students discover that teaching is not the career they wish to follow and, for others, Pre-Teaching enhances their decision to teach, either via the 3-year subject degree route followed by a 1-year teaching qualification (either university or school-based), or via a Primary Teaching (QTS) degree. Every Thursday students are with their personal tutor for a 40-minute tutorial session. Some sessions during the year offer information on careers and progression. Personal Tutors can offer guidance and advice to students about their future plans and can refer them to the Careers Department. A volunteering fair is held during the day on the College Concourse towards the end of September. Work related learning takes many forms and is both implicit and explicit in your individual programme of study and curriculum areas. Subject lessons will all have elements of employability skills within them. E.g. Law explains how courts are structured outlining a number of careers opportunities. Business looks at the recruitment process, including the application process and legislation around recruitment and selection which assist students in their own employment. External speakers for subjects provide opportunities for careers advice and information, as well as delivering a subject specific topic. The Career Progression event external and internal speakers provide information on career progression from subjects, as well as information about alternative routes into careers. Advice is offered on all Gap Year possibilities ranging from individual travel to structured placements within the UK or abroad. We invite providers to our careers events. We produce Year out resources which are available on Moodle. You are able to have one to one discussions with staff through appointments which are focused on your area of interest and can offer ideas and contacts for your Year out.